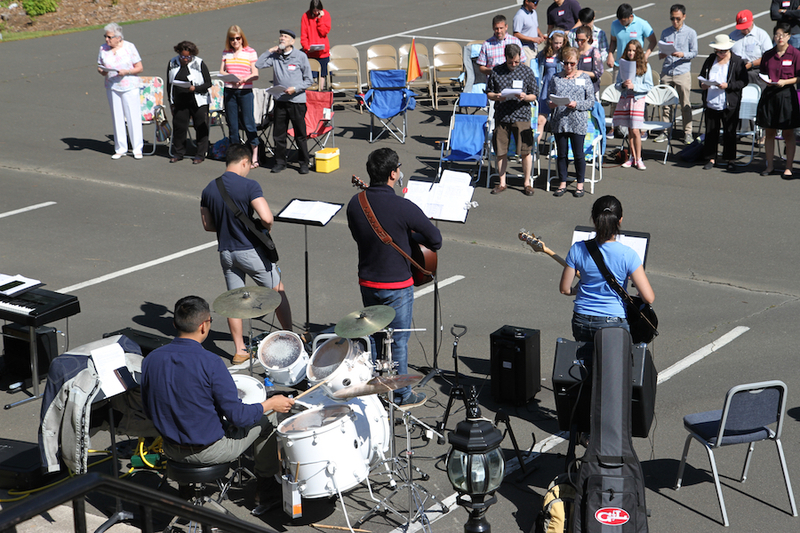 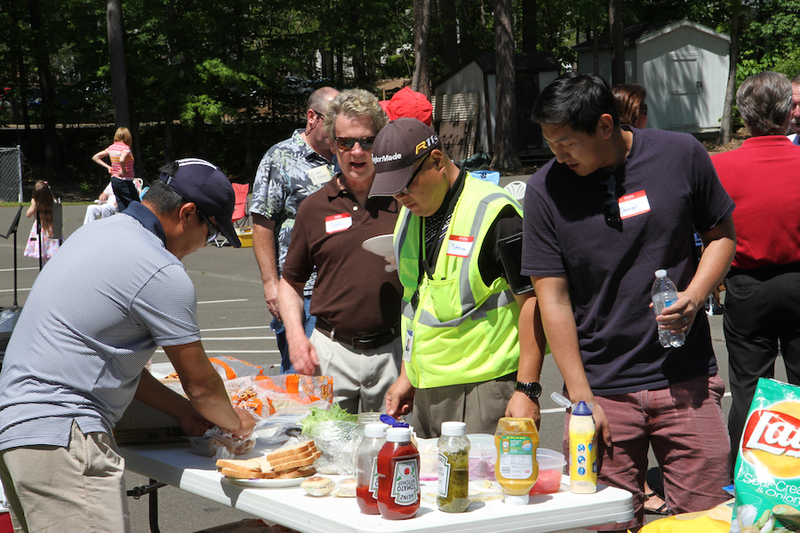 To celebrate Earth Day, neighboring churches in Durham, N.C., gathered April 24 for worship–Christus Lutheran and Hanmaum (means One Spirit), the Korean church just a few blocks away. 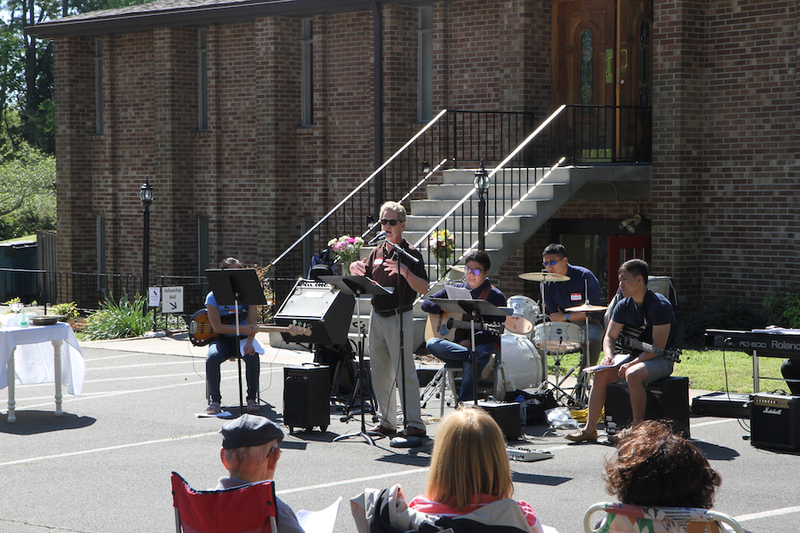 One in the Spirit band leads worship. 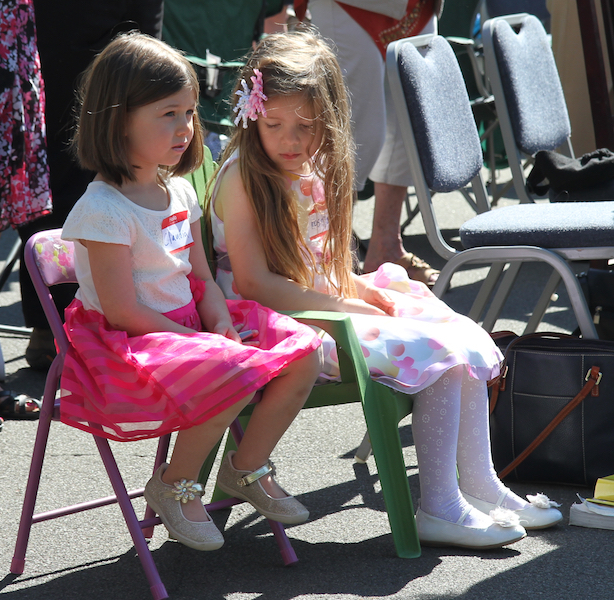 For these youngsters, Claudia and Victoria, it was a treat to worship outside. 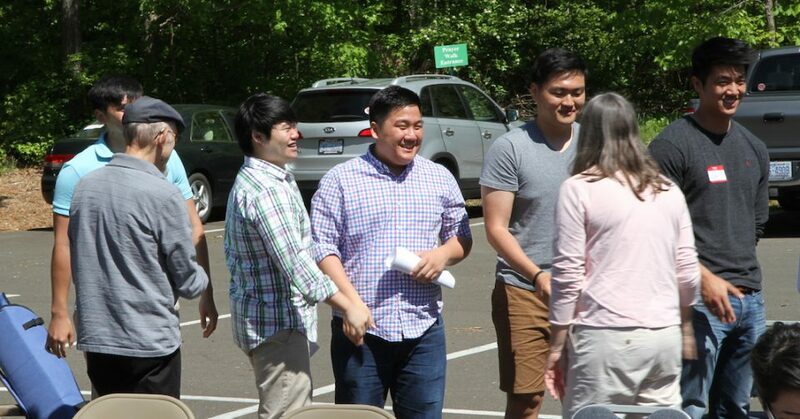 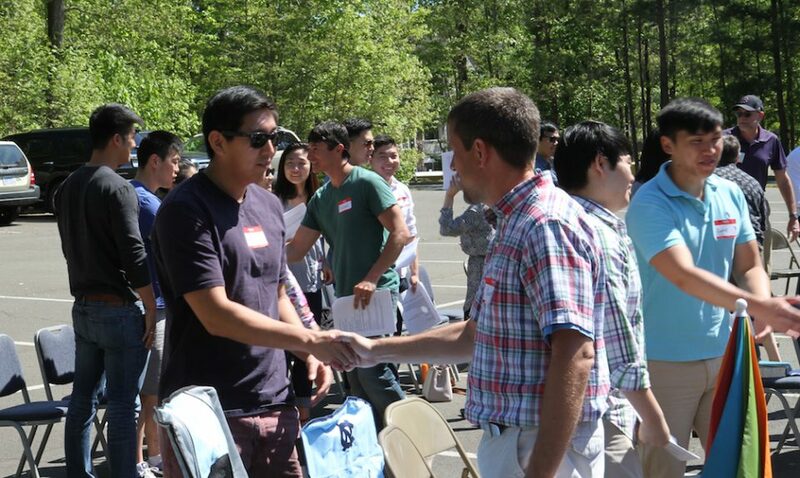 Between 60-70 Korean students from the University of North Carolina, Duke and North Carolina State, as well as young professionals from the Korean church attended. 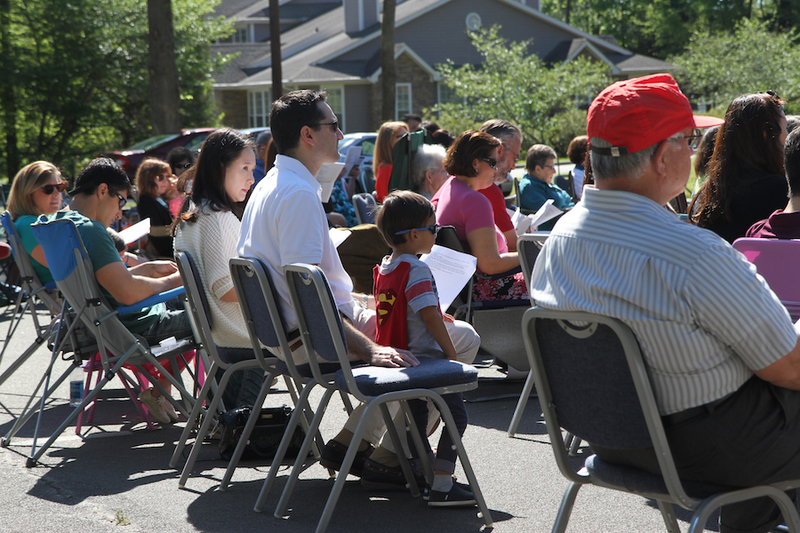 Pastor Terry Dorsey preaches about creation care. 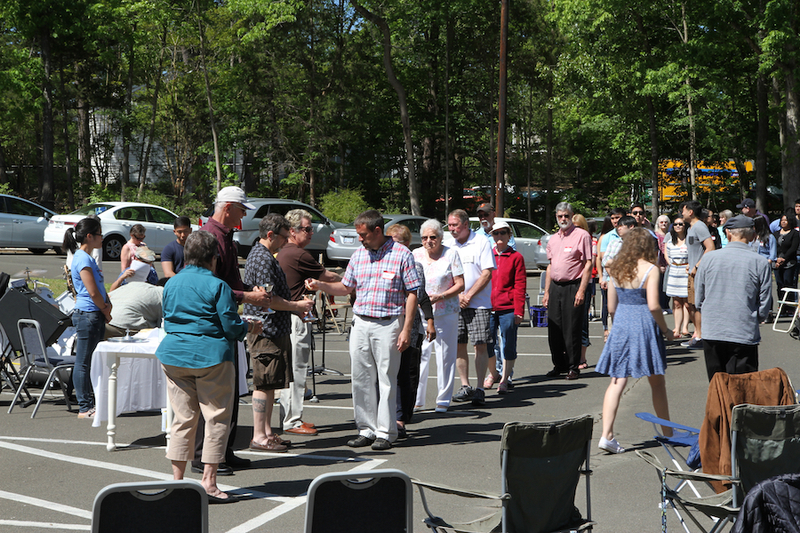 Lunch followed the worship service.